If you would like to cancel your service, please fill out the cancellation form. 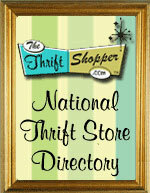 Note: You may not transfer or use any Copyright material, stock images from our image libraries, or any other website content you received from ThriftStoreWebsites.Com at sign up, to include any complimentary customized content or graphics we added for you. Very simply put, if you added it, it's yours. If you paid for any custom work by us, this is also yours to transfer.